Every Monday Redbones celebrates BLUES MUSIC. 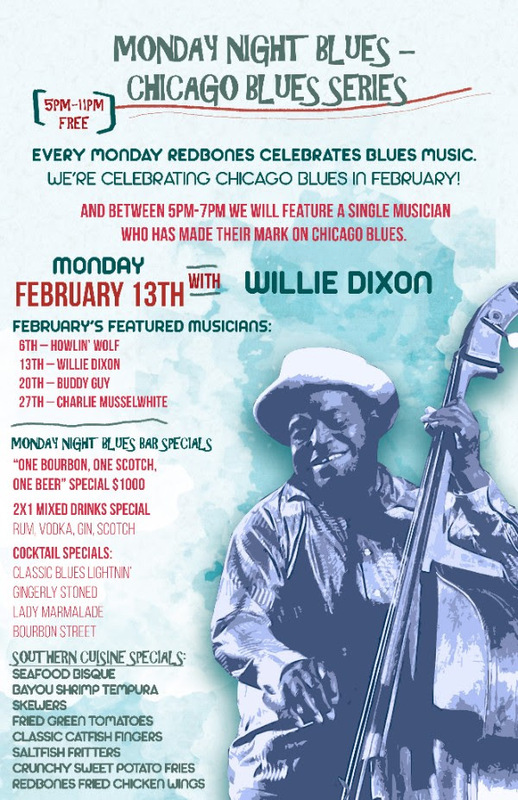 We’re celebrating Chicago Blues in February. Urban Blues based around electric guitar & the harmonica. And between 5pm-7pm we will feature a Single Musician who has made their mark on Chicago Blues. Tonight we will be featuring Howlin’ Wolf & Bob Marley on his birthday.